Alongside luxury Italian Fashion house, Ferragamo I am excited to share with you exclusively images of their latest launch of ‘A Man’s Story’. One of the first dynamic Menswear projects by the brand and photographer and filmmaker Francesco Carrozzini under the creative direction of the brand’s Massimiliano Giornetti that brings founder Salvatore Ferragamo’s vision and conviction into the digital era. In 1914, it was 16-year-old Salvatore whom emigrated from southern Italy to Boston, USA where one of his brothers was working in a boot factory. The industrialized setting was at odds with Salvatore’s vision and craftsman’s sensibility, so with this he convinced his brothers to follow him to California to create a made-to-measure shoemaking service. Within just five years it had become a beacon of luxury for Hollywood’s greatest stars, and the Ferragamo story, brand and vision was born. Like a true pioneer, Salvatore Ferragamo followed his beliefs and he literally set his own rules, which inspires many of us today. To celebrate this seminal moment in the brand’s history and the man behind it, Brand Ferragamo launches A Man’s Story, an online project highlighting the notion of ‘making your own rules’. Through an intimate and compelling series of stories, told by an eclectic cast of contemporary men, Ferragamo’s luxury lifestyle collections are presented in new and surprising settings. 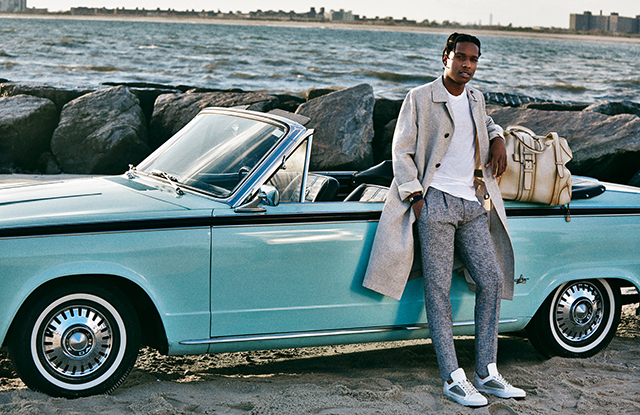 With this strongly inspired editorial focusing on strong individual men who literally set their own rules I am happy to exclusively share with you images of that Rapper ASAP Rocky on the latest edit for Ferragamo wearing Spring 2015. 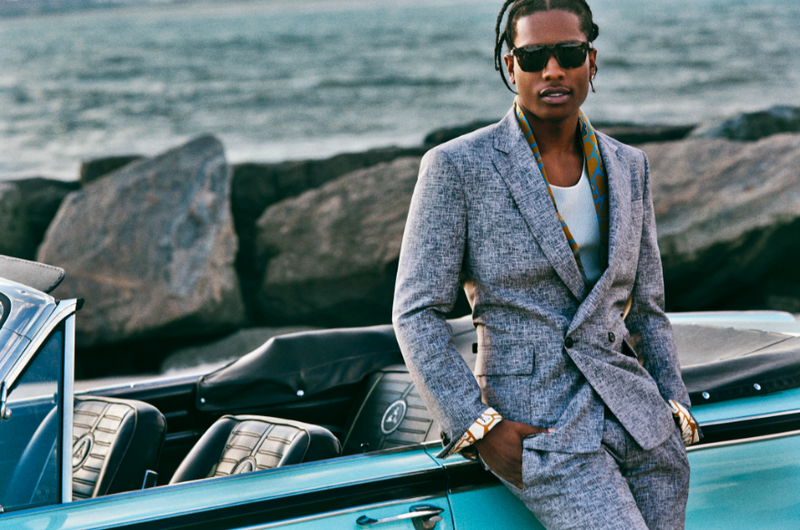 ASAP Rocky (birth name Rakim Mayers) was born in 1988 in Harlem, New York City. Born into a family of a Jewish Grandmother and a Barbadian father. Mayers started rapping at age eight. He learned how to rap from his older brother, who also wore the French braids hairdo that he later adopted. When Mayers was 12 years old, his father went to jail in connection with selling drugs; he died in 2012. When Mayers was 13, his brother was killed in Harlem. The death inspired Rocky to take rapping more seriously and set his own vision for the future. Mayers grew up admiring Harlem-based rap group The Diplomats. To add to trouble, ASAP Rocky sold drugs while moving around homeless shelters with his mother. By age 15, he had been selling crack cocaine in the Bronx. After living for a period in a shelter with his mother and elsewhere around Manhattan, he moved to Elmwood Park, New Jersey. From humble beginings ASAP Rocky found fame in 2007 onwards after signing a 3 Million pound record deal and from then onwards his life had changed – that of his dreams becoming reality and a form of escapism. This entry was posted in Latest News and tagged A Mans story, ASAP Rocky, fashion, Ferragamo, mens blog, Mens fashion blog, Salvatore Ferragamo, style. Bookmark the permalink.